Imagine the delight and surprise when my daughter Lily discovered that I had gotten her a new book that featured HER as the star character. In “It’s Fancy to Be Lily” by Jennifer Dewing and Illustrated by Yusef Doganay, Lily is a jet setter that travels from London to Paris to Rio de Janero, modelling fashion, integrating in the culture and experiencing what it’s like to be a cultured traveller! My daughter Lily is just learning to read, and can recognize many words (including her own name) and she absolutely loved participating in reading her own personal story. This highly entertaining book can also build self-esteem by celebrating the uniqueness of each child – in this case, the uniqueness of my Lily. 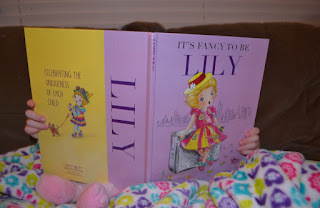 After we read it together, my Lily turned the idea of the book into a game where she would dress up in an outfit that was similar to each outfit the Lily of the book wore when she visited each city. We particularly loved designing a “crown” to mimic the Egyptian portion of the book, upon where Lily visits Ancient Egypt and dresses up like Cleopatra! 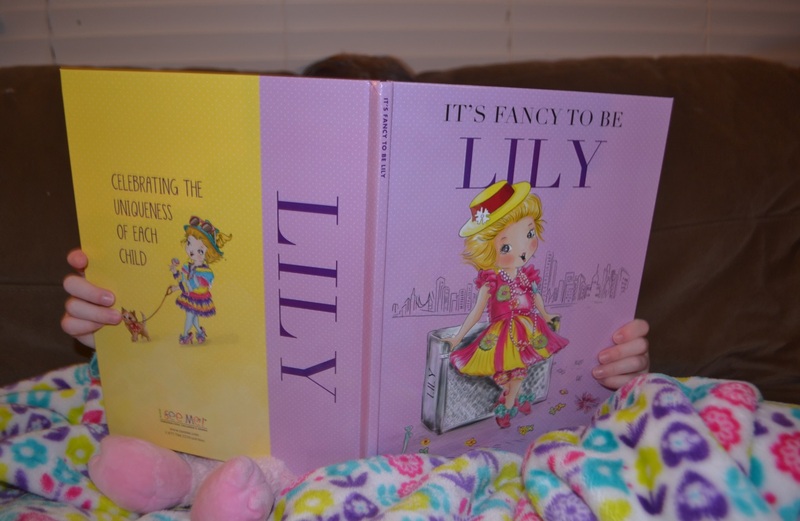 The arrival of Lily’s personalized “I See Me” book came at perfect timing, as we as a family love to read and what a better time to celebrate it than in time for Family Literacy Day on January 27, 2016. Family Literacy Day is a national awareness initiative created by ABC Life Literacy Canada in 1999 and held annually on January 27 to raise awareness of the importance of reading and engaging in other literacy-related activities as a family. Taking time every day to read or do a learning activity with children is crucial to a child’s development. Even just 15 minutes a day can improve a child’s literacy skills dramatically, and can help a parent improve their skills as well. • Traditional story time at the same time each day, so to not only introduce a love of reading, but a feeling of routine into your child’s life.